SNAP is using the built-in WordPress scheduling service called WP Cron for autoposts. When it set this way, all time consuming autoposting tasks are done at the background. This increases the performance and makes some advanced functionality possible. The default setup of WordPress Cron Jobs can cause duplicate autopostings, especially on popular websites. Cron is a UNIX directive that used for scheduling jobs to be executed at some time in the future. 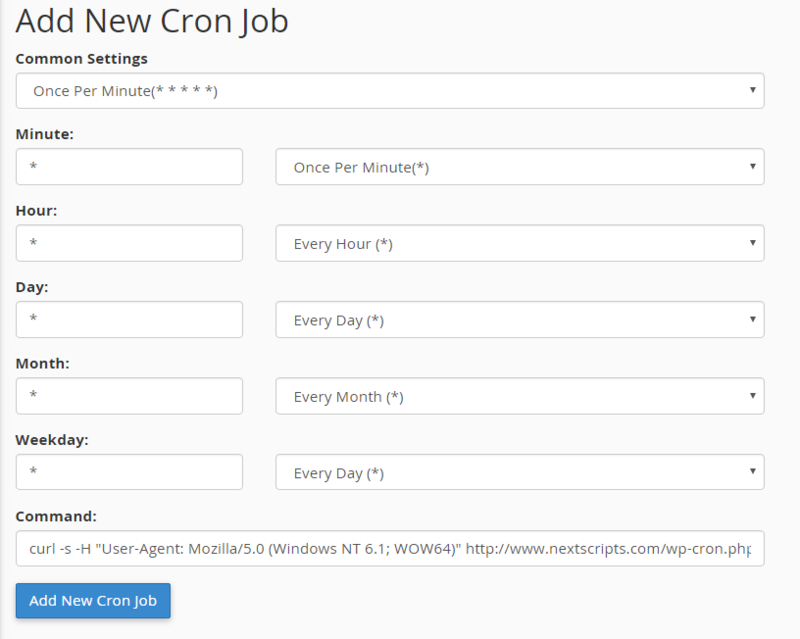 A cron could be used to schedule a job that is executed periodically or just once. Cron is a daemon process that runs continuously, waiting for specific times to trigger the scheduled events to occur. Windows also has a similar scheduler service. However WP Cron is not a real “Cron Job”. Unlike regular Cron Jobs, which run at certain times or dates based on crontab (cron table) configuration file, the WP-Cron service runs every time visitor comes to the WordPress based website. This helps WordPress based websites to run properly on different kinds of server environments because it eliminates a lot of server-specific requirements. WordPress checks if there is a need for WP-Cron to run on every page load. 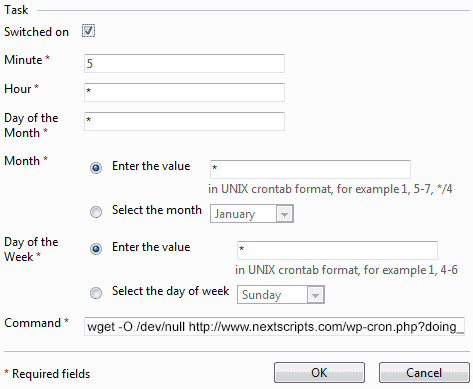 If there is such need, then it tries to make an ajax request to the wp-cron.php file. This way of things has two potential problems. 1. WP-Cron can fail to complete all or some its jobs or it might not work at all on some environments that restrict background jobs or have short execution timeouts. 2. WP-Cron can run the same tasks several times. This is especially the case for high traffic websites or websites with specific configurations. This is what could produce duplicate posts made by SNAP. To avoid multiple instances of WP-Cron running on your server and making duplicate posts, you can try to use the default way of setting up cron jobs on a Linux server. Please make sure that your web host allows you to setup Linux cron jobs. The way this is setup would be different based on the control panel offered by your host. 1. Disable internal WP-Cron execution on page load. 2. Setup a real cron job function that makes a request to the wp-cron.php file at regular intervals based on your preference. This will stop the internal WP-Cron function from executing on every page load. Please note:You are not disabling the WP Cron itself. You just disabling it’s execution by WordPress on every pageload and replacing it with execution by regular cronjob. cronjob will execute all WP Cron tasks. *** Replace http://www.YourWebsiteURL.com with your real website URL. This URL must be the full URL to your WordPress installation. 2. Scroll down the list of applications until you see the “cron jobs” link. Click on it. 3. Under the Add New Cron Job section, choose the interval that you want it to run the cron job. We recommend to set it to run every 1-5 minutes (depending on how accurately you want your posts to be). Enter the command mentioned above to the “Command” field. 4. 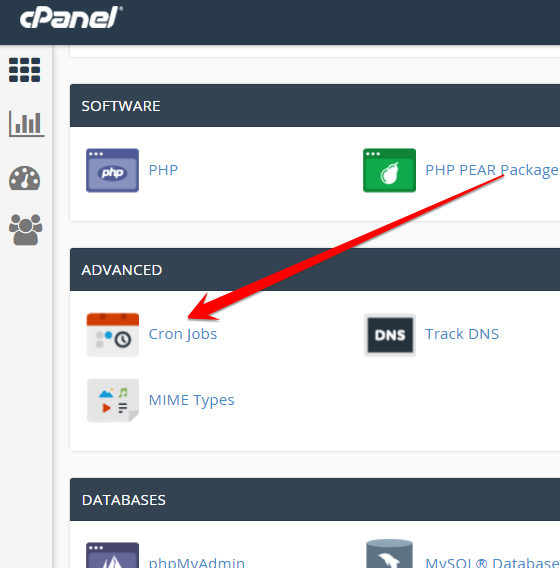 Click “Add new Cron Job”. You should see it in the “Current Cron Jobs” list now. Important: If you choose WGET command, please make sure wget is not blocked! Some configurations and overprotective plugins restrict an access of your site by wget. You need to remove this line, or the whole setup won’t work. 1. Go to the Websites & Domains tab > Scheduled Tasks (in the Advanced Operations group). 2. Click Schedule New Task. 3. Leave the Switched on checkbox selected. Day of the week – enter * (value from 0 to 6 (0 for Sunday), or select the day of the week from a menu). 5. Specify which command to run. Type it into the Command input box. You need to enter the command from above in the Command input box. Important: Make sure wget is not blocked! Update: EasyCron published a special tutorial of How to Setup EasyCron for NextScritps SNAP.